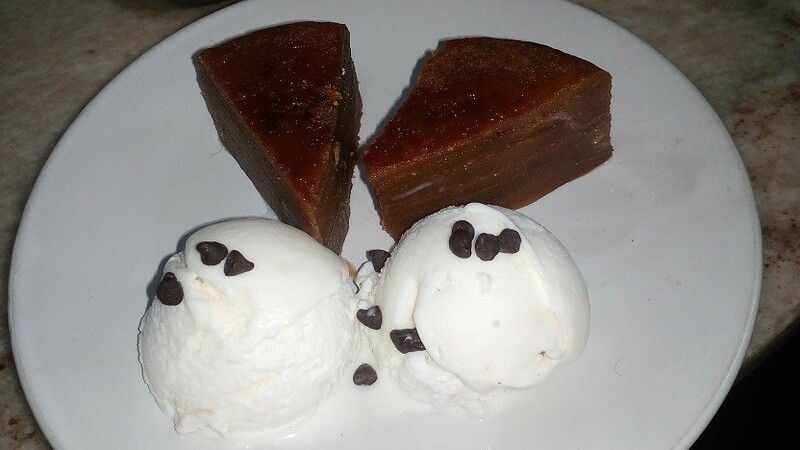 Bebinca in Mumbai – Queen dessert Goan Bebinca in Mumbai at Gables is one of the few places in where you can taste this rich goan sweet. Popularly known as the queen of Goan desserts, it has coconut milk as the primary ingredient. We get our stock straight from Goa and is homemade-we do no use the commercially packed variety. This ensures authenticity in the taste. 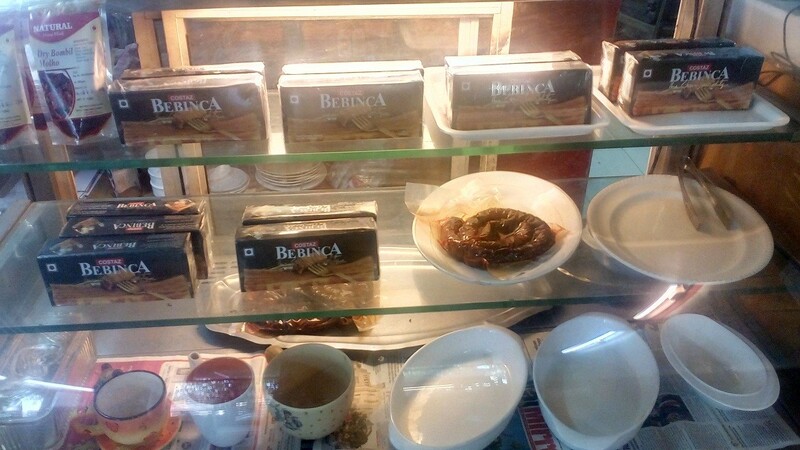 Packaging of the Goan Bebinca comes in the form of half kg blocks ( or wheels) that we retail over the counter. 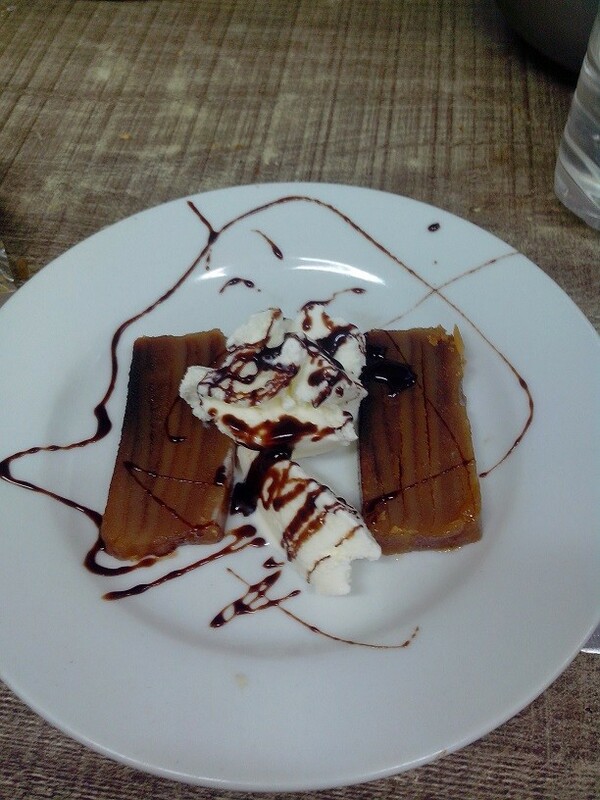 For our in house customers, we offer this dessert cut in two slices with vanilla ice cream and chocolate sauce. The art of making this beautiful goan dessert is the time consuming and laborious method of combining the coconut milk dough and into layers, one at a time and baking it after each layer is baked. In our version of Bebinca that we sell at Gables, it has 10 layers. In this above picture is a quarter portion of a half kilo ring that is transported to us directly from Goa. We do not believe in buying packaged Bebinca as that contains preservatives and does not taste the same as the real home made variety. This is the reason you will only get home made bebinca in mumbai here at Gables. You can also order Bebinca from Swiggy and get it delivered to your home. You can buy it as a dessert on the table for Rs.100 or take it away as a half kg wheel/ slab for Rs.350.